He wanted to parse out the data back into a text file so he could process it some more, but it needed to be one complete record per line. I wrote an EnScript that asks for a keyword. The keyword should be a unique keyword, that in this case was the text "label1" found at the begining of each record. The EnScript then parses from the keyword hit until it reaches a double CRLF. 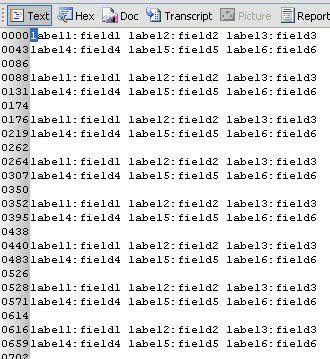 It then prints out the parsed data on one line to the Console tab. So in this example, you would run the EnScript and enter a unique keyword that is found at the begining of each line, in this case "label1" appears at the beginning of each line and the EnScript will parse from the keyword hit until a double CRLF is encountered. I figured I would post the EnScript in case anyone else has a use for it. The USNJRNL is a file system transaction log and it is located in the $EXTEND folder of a NTFS volume. This file system feature is available in Windows XP and greater but is disabled in XP by default. In Vista this feature is enabled by default. The file system journals changes to files into this log, even if the data itself in the file is not changed, but rather changes to the metadata to the specific file. The following EnScript parses the USNJRNL•$J file and displays the filename, timestamp and reason code to the console tab of EnCase and to a CSV file in the default export folder. 0x01 Data in one or more named data streams for the file was overwritten. 0x02 The file or directory was added to. 0x04 The file or directory was truncated. 0x10 Data in one or more named data streams for the file was overwritten. 0x20 One or more named data streams for the file were added to. 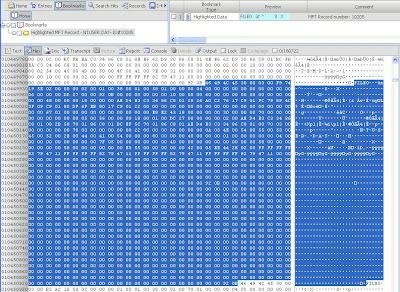 0x40 One or more named data streams for the file was truncated. 0x100 The file or directory was created for the first time. 0x200 The file or directory was deleted. 0x400 The user made a change to the file's or directory's extended attributes. These NTFS attributes are not accessible to Windows-based applications. 0x800 A change was made in the access rights to the file or directory. 0x1000 The file or directory was renamed, and the file name in this structure is the previous name. 0x2000 The file or directory was renamed, and the file name in this structure is the new name. 0x4000 A user changed the FILE_ATTRIBUTE_NOT_CONTENT_INDEXED attribute. 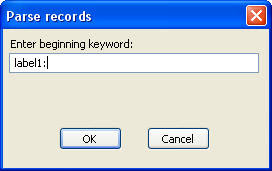 That is, the user changed the file or directory from one that can be content indexed to one that cannot, or vice versa. 0x8000 A user has either changed one or more file or directory attributes or one or more time stamps. 0x20000 The compression state of the file or directory was changed from or to compressed. 0x40000 The file or directory was encrypted or decrypted. 0x80000 The object identifier of the file or directory was changed. 0x100000 The reparse point contained in the file or directory was changed, or a reparse point was added to or deleted from the file or directory. 0x200000 A named stream has been added to or removed from the file, or a named stream has been renamed. 0x80000000 The file or directory was closed.